Paper bag pants have been a runway favorite season after season… The key to wearing Paper bag pants is in the top! Simply find a form-fitting top (that matches well with them), tuck it in, and you are ready to walk out the door. 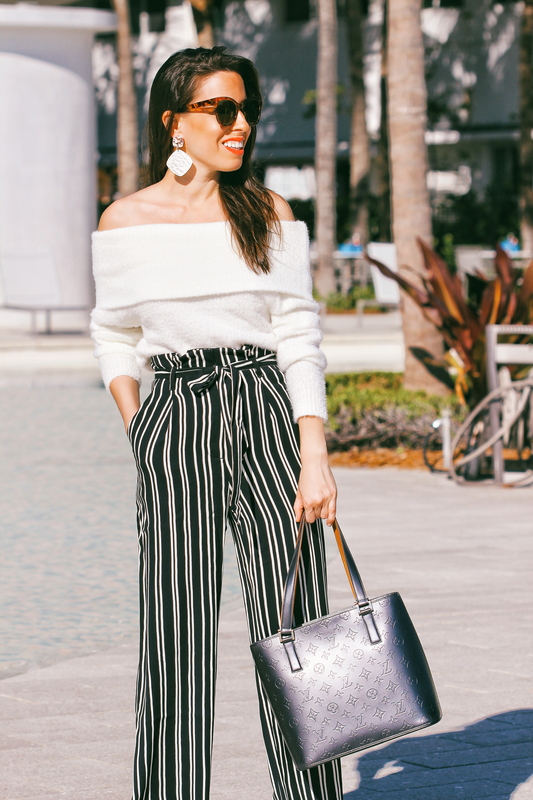 Palazzo pants and paper bag pants are hands down my two favorite styles of trousers to wear – I always talk about them on here! Palazzo pants elongate your legs instantly, and paper bag pants have an extremely flattering cut, plus! … they accentuate your waist (when you don’t have one!). I wear them during the day, for work, and at night. If you mostly wear skinny jeans, try this style and see how you like it! 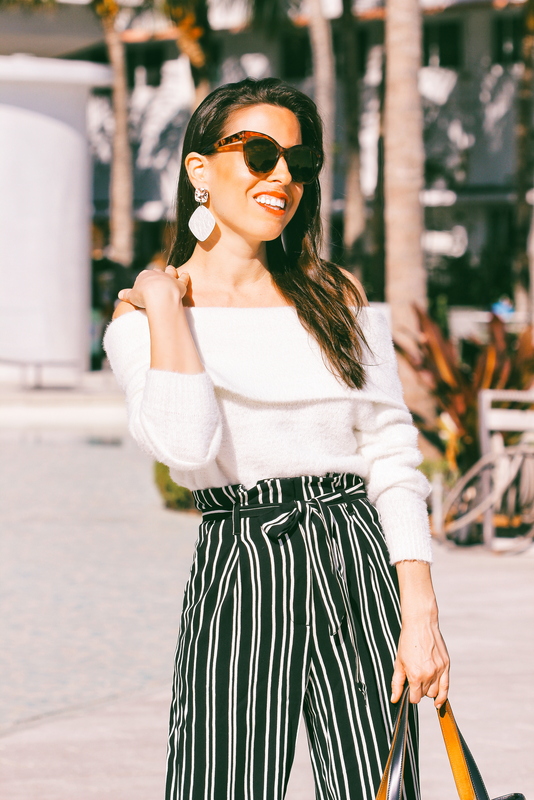 At the bottom of this post I rounded up 4 easy to wear looks with the same pants & sweater that I am wearing in this post. I switched them around, just to give you guys easy ideas : ) Let me know how you like them! PS: how about these earrings!?? Your whole outfit is incredible! I’m trying to work up the nerve to get a pair of paper bag pants – I think they look fantastic! (Yours are especially beautiful.) I’m usually a skinny jeans person, but I really do want to try a pair like yours. And your earrings are AMAZING. Girl you look tall in this look, it really elongates you! Love this OOTD on you a lot! Aww happy you like it Sharka! XOXO!